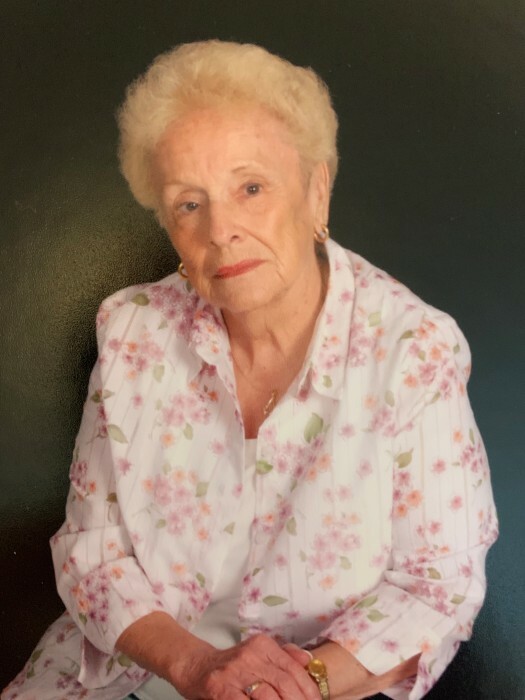 Obituary for Margaret Bell (DePew) Hornberger | Bill Head Funeral Homes and Crematory, Inc.
Margaret Bell DePew Hornberger, 91, of Alpharetta, GA died March 20, 2019. A memorial service will be held Saturday, March 30, 2019 at 10:00 a.m. at The Mansions of Alpharetta, 3700 Brookside Parkway, Alpharetta, GA 30022. A native of Scranton, PA, Mrs. Hornberger was a member of the Mohnton, PA United Methodist Church. She was a 1945 graduate of Shillington High School and was a former President with the Mohnton Golden Ages. She is survived by her husband of 72 years, Luther E. Hornberger of Alpharetta, GA; son, Larry E. Hornberger of Duluth, GA; daughter, Patricia McVey of Coatesville, PA; four grandchildren, Barbie Hornberger, Debra Hyatt, April Vorndran and Carrie Dunn; three great grandchildren, Hannah Grace, Abigail Kate and Emma Margaret. In lieu of flowers, please make donations to Golden Rule Hospice, 4080 McGinnis Ferry Road, Suite 602, Alpharetta, GA 30005. (470) 395-6567. Arrangements are being handled by Bill Head Funeral Homes & Crematory, Duluth Chapel, (770) 476-2535.